Can take NEW OFFERS and cancel current contract. 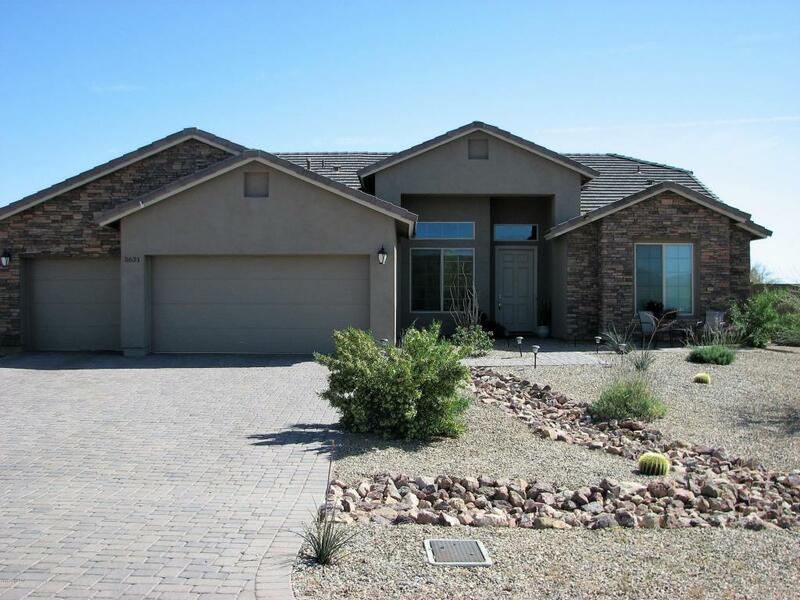 Open floor plan concept, sitting on over an acre with Mountain and open desert views and paved road/access. Kitchen complete with granite countertops + mosaic tile backsplash, stainless steel appliances. Surround sound in the living room and patio. Large master suite with french doors/exit to backyard. Full spa like bathroom with his + hers vanities and separate soaking tub + shower. The final detail throughout sets this one apart. Many upgrades purchased throughout during the build process. Many items still under warranty.